*The Final Frontier: The Ovion Archives (Deal, Not Free) by H.M Irwing. Price: $0.99. Genre: Science Fiction Book Deal, Sponsor, Space, Astrophysics SciFi. Rated: 5 stars on 3 Reviews. 476 pages. ASIN: B00K091UBE. Kirkus Reviews Approves this Book! *Armageddon and Beyond (Deal, Not Free) by Adam Declerck. Price: $0.99. Genre: Post Apocalyptic Science Fiction Deal, Sponsor, Ultimate Destruction of Humanity, The Greatest Battle. Rated: 5 stars on 1 Reviews. 895 pages. ASIN: B074CSFYHW. *Dissent (Echoes of Earth Book 2) by Katy Haye. Price: Free. Genre: Dystopian Science Fiction, Post-Apocalyptic Science Fiction, USA Today Bestselling Author. Rated: 4.7 stars on 4 Reviews. 215 pages. ASIN: B06XBHKQVS. USA Today Bestselling Author Katy Haye. *The Last Defender: A Novel (Deal, Not Free) by Travis Pearson. Price: $1.99. Genre: Science Fiction Deal, Sponsor. Rated: 5 stars on 10 Reviews. 136 pages. ASIN: B06XPR6V6R. *(Free for Kindle Unlimited) EMPTY CASKETS: Terran Patrol Book One (Deal, Not Free) by Lewis Dually. Price: $2.99. Genre: Science Fiction Deal, Sponsor. Rated: 4.8 stars on 6 Reviews. 283 pages. ASIN: B06VWQTWCK. The Abyss (The Island Book 3) by Amy Cross. Price: Free. Genre: Science Fiction, Post-Apocalyptic Science Fiction, Dystopian. Rated: 5 stars on 4 Reviews. 326 pages. ASIN: B07462GPB7. **The Eden Paradox (Deal, Not Free) by Barry Kirwan. Price: $0.99. 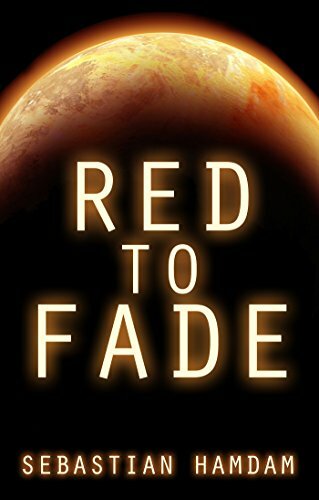 Genre: Science Fiction Deal, Sponsor, Space Opera, Post-Apocalyptic. Rated: 4.4 stars on 46 Reviews. 476 pages. ASIN: B004N852W6. *(Free for Kindle Unlimited) H.A.L.F. : ORIGINS (Deal, Not Free) by Natalie Wright. Price: $3.99. Genre: Alien Science Fiction Deal, Sponsor, First Contact. Rated: 4.5 stars on 3 Reviews. 376 pages. ASIN: B07263P84J. *Hell Follows (The Fixer Book 2) (Deal, Not Free) by Andrew Vaillencourt. Price: $0.99. Genre: Cyberpunk Science Fiction Deal, Sponsor, Science Fiction Adventure. Rated: 5 stars on 1 Reviews. 328 pages. ASIN: B0751P7G86. ISBN: 154868631X. ***Z-Minus: The Zombie Apocalypse Series (Book 1) by Perrin Briar. Price: Free. Genre: Dystopian Science Fiction, Sponsor. Rated: 4.1 stars on 585 Reviews. 151 pages. ASIN: B00QVHRMQG. Trophy (The Trophy Saga Book 1) by Paul M. Schofield. Price: Free. Genre: Science Fiction, Literature & Fiction, Adventure. Rated: 4 stars on 23 Reviews. 268 pages. ASIN: B0073YEN2M.